Friday's post was somewhat in this vein. The books I got in the mail or bought on site this past week (and some of the books from recent weeks/months) were featured -including Melissa de la Cruz's Blue Bloods (book 1) and LDS author Jenni James' Pride & Popularity, both of whom I met this past week! Melissa de la Cruz came to the Provo City Library for a presentation and book signing, Wednesday, Sept. 28th. I went with my book club buddy Melanie (hey, Melanie!) and we were totally first in line (gotta keep up my reputation, right?). Courtney Lowe dressed up again ('cause she's da bomb), this time as the red haired character Bliss from Melissa's Blue Bloods, vampire/fallen angel series. I'll do a write up on the lecture at a later date. I met LDS author Jenni James last night at the University Pkwy Deseret Book in Orem for Ladie's Night (something fun for LDS women to do while their husbands attend the Priesthood session of the General Conference of The Church of Jesus Christ of Latter-day Saints). It was cool to finally meet Jenni after friending her on Facebook. She's a super woman! So busy and productive -and fun. She even made a kajillion white chocolate-dipped marshmallow pops for the event. Jenni James is the author of the Jane Austin Diaries, modern, YA retellings of six of Jane Austen's books. Out now is Pride & Popularity, followed early next year by Northanger Alibi. I'll write more about Jenni James later too. But just FYI, she'll be at the Orem Barnes & Noble Authorpalooza on Oct. 22 and Pioneer Book in Orem on Nov. 19 with fellow authors Andrea Pearson (YA) and Tristi Pinkston (mystery -her books, not herself). This upcoming Thursday, Oct. 6th is the Book Academy Conference at Utah valley University. The key note speaker will be LDS, YA, horror author Dan Wells (the John Cleaver trilogy). Elana Johnson (Possession) and Lisa Mangum (The Hourglass Door trilogy) will also be presenting workshops during the conference. Check out the Book Academy page for more info. 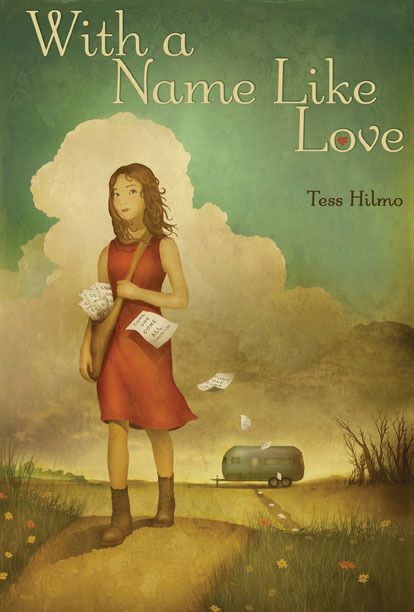 Saturday, Oct. 8 from 3 - 5 PM at the American Fork Library, LDS author Tess Hilmo will be debuting her new YA novel With a Name Like Love which came out Sept. 27. This event looks like it'll be a blast with performances, crafts, prizes, and candy. Woah. You can't get much better than that. I'll totally be there. Go to Tess' website for more info. Huber Hill and the Dead Man's Treasure (Book 1) by B. K. Bostic (LDS), Oct. 8th. The Son of Neptune (Book 2, Heroes of Olympus) by Rick Riordan, Oct. 4th. This is awesome, Diana! I love the upcoming book info and of course all the author signings and events info. Thanks! Cool! Thanks for the feedback! I SUPER appreciate it! No problem. I'm looking forward to reading it! I forgot to include that Slayers by LDS author Janette Rallison came out this past week (under the pen name of C. J. Hill)!